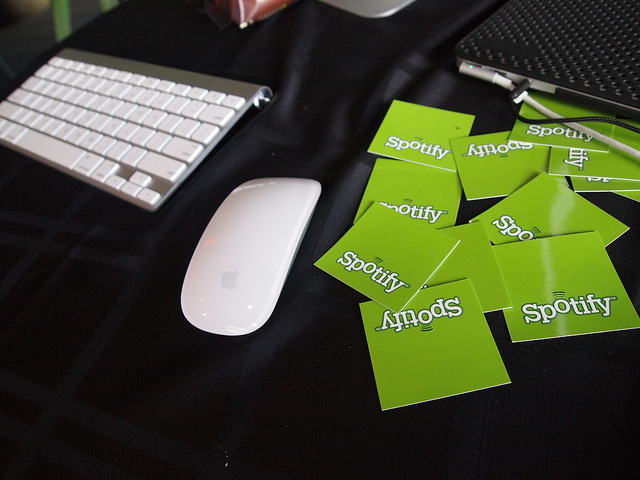 As I wrote about recently, Spotify is the most popular streaming service. However, it’s also got the most paying customers (30 million) out of the major music services, and by a hefty margin. This is in spite of Apple heavily advertising its Apple Music service, as well as other major and minor rival services. Tidal, the recently created “high end” music service, has only 3 million paying subscribers, even after all of the hype over its quality and rapper Kanye West being on board. Here’s an infographic showing how most of the major services stack up, using the most recent statistics available. I couldn’t find any numbers or estimates for Google Play Music subscribers, though I’d assume it’s nowhere near Spotify’s level. Amazon Music also isn’t listed, probably because Amazon won’t release exact sales figures, limited availability (to the US, UK, Germany, and Japan per Wikipedia), and Amazon Music is considered a side service of Amazon Prime. However, one consumer research firm estimated there’s about 54 million paying Prime subscribers. And, of course, SoundCloud’s brand-new SoundCloud Go service isn’t listed. Napster/Rhapsody and Pandora are long-standing services, but the rise of Spotify and Apple Music, plus various other services, are causes for concern. While Pandora’s free streaming and curation algorithm are still popular, it’s got a lot of disadvantages: a small library (the reason I switched to Spotify); only available in the US, Australia, and New Zealand; and Spotify’s free tier/large library. Meanwhile, Napster/Rhapsody (now merged) don’t get any buzz nowadays, outside of nostalgic references to Napster’s turn-of-the-millennium MP3-sharing heyday. The services are also only available in a few countries (per Wikipedia, the US, UK, and Germany). Deezer’s a music service based in France, and is available in most of the world, but not here in the US. Thus, I can’t comment much on this one, though if any of my non-US readers care to, please chime in in the comments. But worldwide, paying for streaming seems dominated by Spotify, probably thanks to its wide availability internationally and head start over other services. Apple Music seems a distant second, while other services vary by region or aren’t as prominent. Which streaming services do you use, if any? Wow. I didn’t know Pandora was so small compared to Apple Music and Spotify. I never caught onto Pandora for it’s lack of making specific playlists. Although they do have a Chicago office in the building I work (Tribune Tower). It’s a pretty nice office space. Before I joined Spotify in 2011, I used MOG. Certainly one of these services listed bought out MOG. –Ah, a quick Google search shows that Beats bought out MOG for $14M in July 2012. Which of course, Apple bought Beats. So technically, MOG is part of Apple Music now. Heh. Nice to hear their office is nice, though! Ahhh, paying customers only. Yeah, I don’t know anyone who pays for Pandora.